Having Trouble Finding the Right Words? Ronni Gordon can help you. She will write what you need in a clear, concise and engaging fashion, finding the right tone for each story. During more than 30 years in daily journalism, she wrote on deadline about a wide variety of topics, acquiring a focus that she brings to her writing and editing today. Ronni is known for her energy and compassion and her ability to tackle difficult subjects and infuse lighter stories with humor. She specializes in health and fitness and general features while also writing about many other topics. Her credits range from stories about authors and actors passionate about their craft to health and fitness to home and garden. On the pages of major medical centers, a sampling includes cancer survivorship, nutrition and heart health, while stories in college publications and web pages include interesting student internships and fellowships, profiles of talented professors, and features on graduates making a difference. Published on line and in print, Ronni has written for The New York Times, The Philadelphia Inquirer, Forbes, ESPN and many other publications in addition to being on staff at local and regional dailies, mostly in the arts and features departments. She has written for the websites of Mount Holyoke College, Smith College and Holyoke Community College and for the alumnae quarterlies of Smith and Vassar. 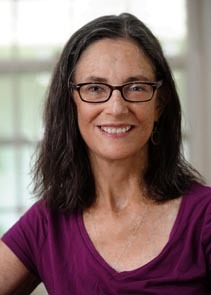 She has also written for Beth Israel Deaconess Medical Center and the Dana-Farber Cancer Institute, and she writes an award-winning blog about life after cancer. A graduate of Vassar College with a B.A. in English, she received a Master’s in Journalism from Boston University. She got her basis in editing after being promoted to features editor at the first newspaper where she worked, the old (Holyoke, Mass.) Transcript-Telegram. Since starting her own company in 2009, she has edited projects for such companies as TSM Design and The Green Internet Group, both in Springfield, Mass., and for the University of Massachusetts, Amherst.